Junior Prom Already: I hope you had an opportunity to enjoy the fantastic weather over the weekend. I know I did, and so did four hundred and three students who attended our Junior Prom on Saturday night. The prom this year was an absolute delight. There was not a single issue and the energy was very high and very positive the whole night. As you can imagine, I as the superintendent (and probably you if you had a child out later than usual last night) sleep with one eye open until I get the "all clear" text from the high school administration and Camillus Police first thing Sunday morning. 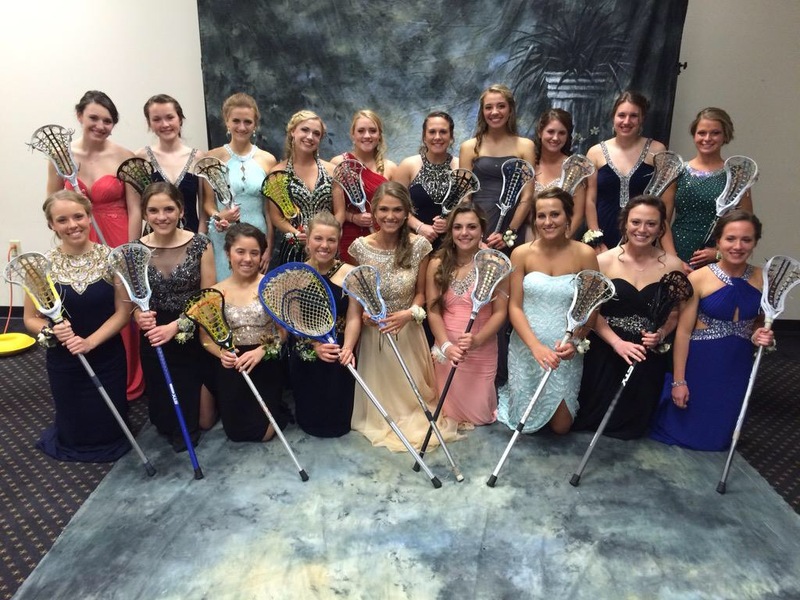 What a great time; I am looking forward to the Senior Ball on May 13! Kick-Off of "No Empty Chair" Campaign: On Friday, and just prior to the prom, West Genesee was selected as the kick-off site for the "No Empty Chair" (Click here to view a YouTube video about the event.) campaign sponsored by the Governors Special Traffic Safety Division. Some of our students watched the extended opening press conference. I was very impressed by senior Katie Lannon, who delivered a powerful message about making good choices while flanked by high ranking officials from the New York State Police, District Attorney's Office, Onondaga County Sheriff's Office, Department of Motor Vehicles, Camillus Police Department, and a parent who had lost a child. She was masterful with the media as well, and I was really pleased with how she represented the District and most importantly, herself. Nice work! More Mini-Forums: Last week there were a lot of cool events that happened. First was the "prevention" mini-forum. You can view the presentation by clicking here. It was led by Penny Williams from OCM BOCES and Donna Knapp from The Prevention Network. I definitely learned a thing or two about signs to look for in children related to substance abuse, and I think it would be well worth your time to take five minutes to scroll through their presentation. The next mini-forum is on treatment and will be led by substance abuse treatment counselor Kimberly Sacco on May 3 at the West Genesee High School. Two days later on May 5 will be NARCAN training, which will also be at the high school and provided by the Camillus Police Department. I can't thank everyone enough for their involvement and efforts. Letter of Intent Signing Ceremony: We also held our official Division I and Division II athletic signing day. This year we had thirteen students commit to various colleges and universities. The sports are women's and men's lacrosse, women's soccer, men's golf, and men's basketball. Click here to read an article from the District e-Newsletter that lists the names and colleges. The combined academic average of all of the student athletes who signed the letters is a 91; very impressive. We wish them well next year and beyond! C.O.D.E. Program is Recognized: Many of you are familiar with our Community Oriented Drug Education (C.O.D.E) program. For those who are not, it is a partnership between the District and the Camillus Police. We tailor curriculum to help teach students in grades K-12 about making good choices, and remaining drug and alcohol free. The program is unique because we select and change the curriculum based on the needs of our community. Officers Kelly Grace and Diane Brand are responsible to help teach the curriculum. In 2013 they, our administrators, and teachers made the decision to include some curriculum about what to say and do if faced with abuse. For their efforts, the Camillus Police Department, Officers Grace and Brand were honored by the McMahon/Ryan Child Advocacy Center at the “Shine A Light” On Child Abuse Award Ceremony with the Children’s Guardian Award for the partnership and continuing education that McMahon/Ryan, the Camillus Police and the West Genesee School District share regarding our CODE Program. Come Meet an Astronaut: This Thursday is your chance to meet with an astronaut. 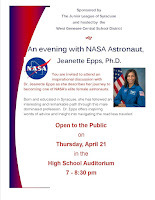 Join us this Thursday, April 21, in the high school auditorium from 7:00-8:30 p.m. for an evening with NASA Astronaut, Jeanette Epps, Ph.D. as she describes her journey to becoming one of NASA’s elite female astronauts. We are looking forward to having Dr. Epps among us and in our District! Spring break is next week. I am going to give you a chance to enjoy yourselves and not have to worry about checking for a blog. Barring anything unusual I would need to share with you, my next post will be on Monday, May 2. Until then, enjoy and remember that every day is a great day to be a Wildcat! At the end of the day today a student showed a teacher at the high school a book they had been reading in class. Written in the book was a bomb threat that was non-specific. With quick work of the teachers and administrators, it was determined that the book in question had not been used since last week at the earliest. In an overabundance of caution, the building was completely cleared and searched at dismissal and then reopened for business. The Camillus Police are assisting us with an investigation, and we are confident that we will find the person responsible in the very near future. Community Helps Raise Funds: The nineteen members of the Academic Decathlon Team have worked tremendously hard to raise money to help get the team to Anchorage, Alaska to compete in the National Championship. If you attended their pancake breakfast fundraiser yesterday, you got to see the students and their advisers making sure that everyone was served and happy. There were lines out the door at times, and I want to thank the Camillus Elks Club for the use of their facility and their membership for doing much of the cooking! Thanks to all for your support; they are booked and ready to go! NYS Assessments Update: You probably saw a lot of news coverage last week about the recent 3-8 English Language Arts state assessments. The types of questions on this assessment were similar to previous years, but the assessments were shorter overall in terms of the number of questions and there were no time limits for completion. I will be interested to see the results of these assessments compared to last year. Nineteen percent of our students refused to take this year's English Language Arts assessment, compared to twenty-three percent last year. The 3-8 Mathematics state assessments are this week, April 13-15. Substance Abuse Mini-Forum: Tonight is the second mini-forum on substance abuse and the topic is prevention. 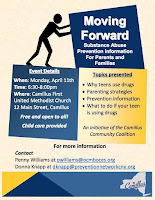 The presenters are Donna Knapp from The Prevention Network and Penny Williams from the OCM BOCES with the event being held at the Camillus First United Methodist Church from 6:30 to 8:00 p.m. All are welcome. The next mini-forums center around treatment. 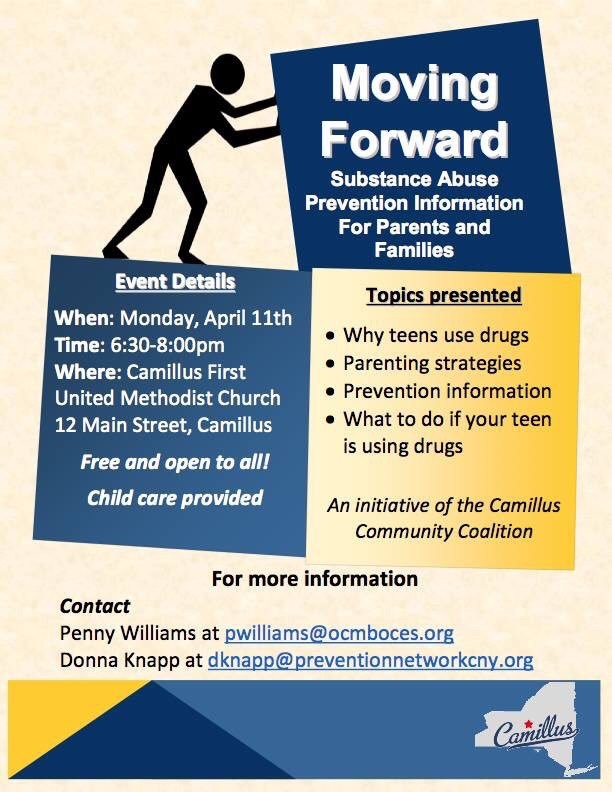 There will be one on May 3 led by substance abuse treatment counselor Kimberly Sacco, followed by NARCAN training (date TBD) led by Camillus Police Chief Tom Winn. Our substance abuse coalition, first large forum, and these mini-forums are really making a difference, and we are proud as a District to be community partners in these efforts. 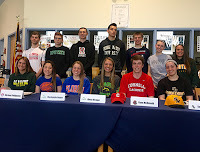 Letter of Intent Signing: This Wednesday, April 13, will be the West Genesee High School National Letter of Intent Signing Ceremony in the high school library starting at 3:00 p.m. We look forward to celebrating this event with the twelve seniors (Troy Temara, Mackenzie Negus, Emma Madonna, Tyler Shoults, Ryan McDonald, Jacob Sparks, Sean Stanistreet, Madisyn Kittel, Mackenzie Kittel, Nicole Delany, Alexa Meager, and Michael Philippone) as they sign their letters committing to play sports at their college or university of choice. 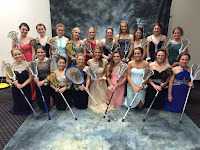 Prom Season: As we enter junior prom and senior ball season we should all remember to have those extra conversations with our children about making good choices. We have many programs to help reinforce that message at school, and we are going to be adding another one this Friday with the No Empty Chair Campaign. The Governor's Office has chosen our high school as the kick-off school for the statewide program, and we welcome the chance to be statewide role models. Speaking of the Junior Prom, ours is this weekend, and my wife and I have been chaperoning them for twenty five years. Each one has been unique and fun in its own way and this year will be no exception! Running in Snow, in April? Only in Syracuse can you play golf one day of the week and then shovel snow on another. 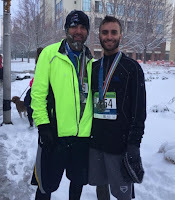 My older son and I ran the Syracuse Half Marathon yesterday, and I cannot recall a time when I ran in worse conditions. The funny thing was that no one really complained about it. Most of the comments I heard were "well, this IS Syracuse". I kept up with him for the first seven miles or so and then he slowly faded into the distance. It was fun to find each other after the race and agree that anyone who actually finished that race in those conditions was a true champion! In this picture he had been finished about ten minutes, and I had just finished. My beard collected a fair share of snow and ice! Already looking forward to next year. Bunny vs Chicken: I often tell people that I have the best job in the world, and I have the stories to back up my claim. 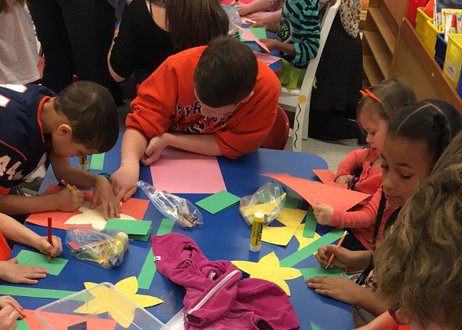 On Friday of last week I was visiting Stonehedge Elementary School, and I walked into a kindergarten classroom. This is a very normal occurrence for the students so I received the usual chorus of "good morning Dr. Brown!" but then a student walked up to me with a paper cutout of a rabbit. She looked up at me and asked if I wanted a chicken. I told her that she did not have a chicken. She quickly responded with, "I know, it is a bunny. April Fools!". I had been had by a kindergartener! It made my day. Mini-Forums on Substance Abuse: Last week we held the first of six mini-forums about substance abuse in our community. This particular forum was about actual data and resources concerning substance abuse in our schools, as well as a great presentation from the Camillus Police and District Attorney's office about their new "Tip411" service. You can find video and the presentations by clicking here (page will be updated after each mini-forum). The survey results showed that parents (about forty in attendance and another one hundred seventy watching live on our Periscope app) really enjoyed knowing what is actually happening within the four walls of our schools. Parents and I were also VERY impressed with the power and anonymity of the new "Tip411" system. Community members can submit tips to the Camillus Police (or twenty one other agencies) about drug activity that they see. The tip is then immediately sent to someone who will respond to the person submitting the tip and then they will either start a new investigation or add the tip to an existing one. You can check it out by going to camilluspolice.com and looking for Tip411. We are actually going to add it to our tools to combat drug activity at school, and we will also be showing students how to use the system over time. Good stuff and thank you to all who attended! 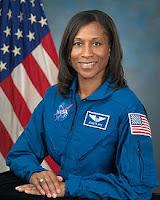 Meeting an Astronaut: Always wanted to meet a real life astronaut but haven't been able to? Well now you can! 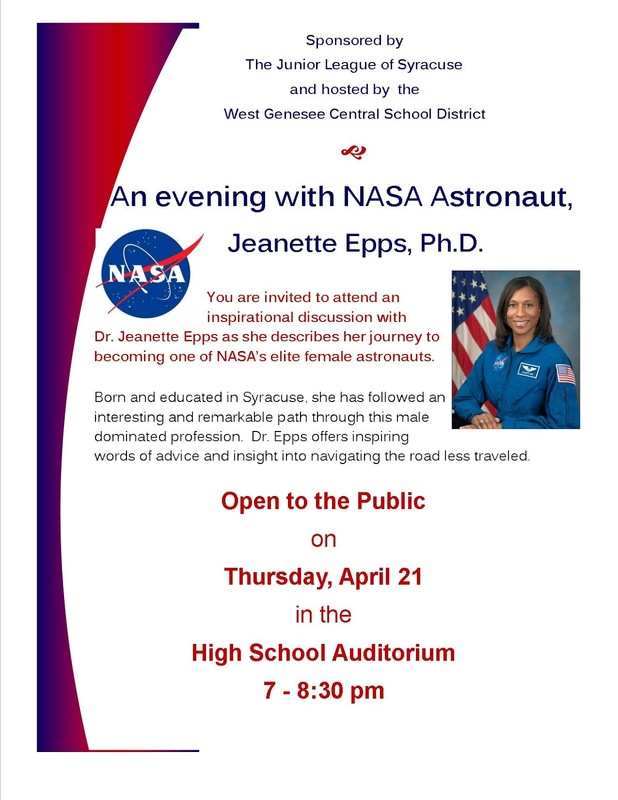 Thanks to the efforts of the Junior League, NASA Astronaut Dr. Jeannette Epps will be live in the West Genesee High School Auditorium on April 21, 7:00 p.m. She is going to talk about her experiences, possible careers in science, technology, engineering, and mathematics (especially for girls) and take questions from the audience. How cool is that? Put it on your calendar! Assessments: This week is grades 3-8 assessment week for English Language Arts. Our new Commissioner has made the assessments shorter, has made sure that teachers have had a say in question development, and has made sure that there are no time limits. This will not stop those who are really against state assessing from voicing opinions or opting their children out of the tests. In my view the current Commissioner has done a remarkable job in a very short amount of time fixing some of the very poor decisions that had been made by the previous Commissioner with regards to how our children are assessed. She needs more time to continue the process, but I am pleased that she is listening to ALL of us about changes that need to be made. That being said, parents will make choices for their children with regards to assessments and we will respect those choices like we always have. Thanks for your tremendous support and enjoy the week!